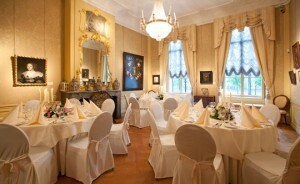 The period rooms in Museum Bredius are available for meetings, lectures receptions and dinners. Please contact us and obtain information on prices and catering on 070-3620729 or by mail. Tours may provide an extra dimension to your museum visit. Museum Bredius staff are more than willing to give you a customized tour, for small as well as larger groups, students and pupils. Please contact us by calling 070-3620729 or send us a message by mail. Not all the paintings and artefacts that are on display in the museum are listed on this website. Please contact us for any further information. Visual material can be obtained. Reproduction costs amount to € 45, if digital records are available.